Hey everyone! It’s Serene back from House of Yumm. Remember me? I was here not too long ago sharing some Rainbow Sherbet Cupcakes. Those were probably the perfect summertime treat. Can you believe Summer is coming to an end already?! Well at least it is according to the school year. Boooo! Most kids are already in school, we start next week. With school time coming it means that time spent having fun with the kids is way more precious. One of our favorite activities we do as a family is have movie nights! And what goes hand in hand with movie nights? 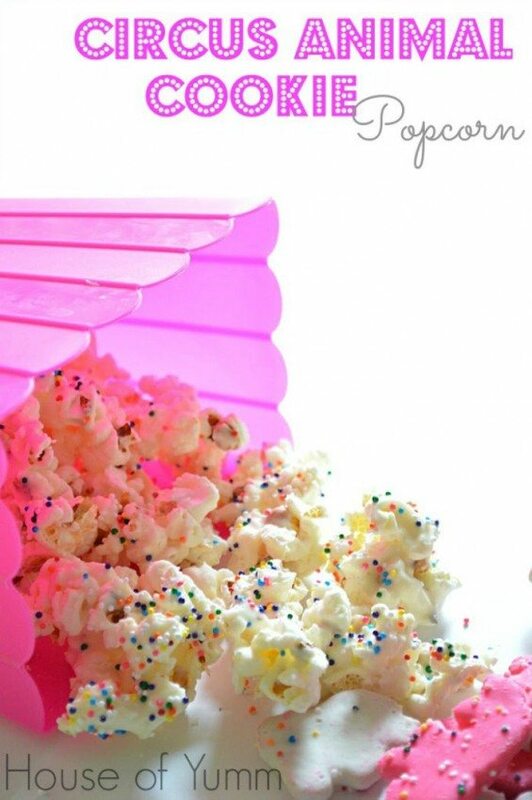 Popcorn recipes of course and this one is going to delight your kids! Such a fun treat for the kids, Serene. Thanks for a great idea! How clever, love your presentation!!! Thanks for another great article. Where else could anybody get that kind of info in such an ideal way of writing?